Camaraderie Foundation’s mission is to provide healing for the invisible wounds of war through counseling, emotional and spiritual support for all branches of Post-9/11 Veterans, Service members and their families. 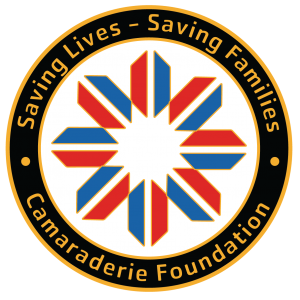 Camaraderie Foundation provides access to mental health counseling services, at no expense, to Post-9/11 Veterans, Service Members and their families. These warriors and their families experience Post Traumatic Stress, Traumatic Brain Injury, Military Sexual Trauma, divorce, substance abuse, spousal abuse, child abuse and other issues. With your support we can help these Post-9/11 Veterans, Service Members and their families. Eighty-two cents of every dollar raised is spent directly on programs. We seek to provide Post-9/11 Veterans, Service Members and their families with support, encouragement and counseling to alleviate the stress associated with their transition from the battlefield back into society by building a strong community of support around them. Through the healing of their invisible wounds, we are truly Saving Lives – Saving Families.